The one size fits all mentality seems great in theory. One product is able to hit all the bases, for everyone. This might work for watches, baseball hats, and sunglasses, but not so much for skincare products. We’re all unique and have varying wants and needs when it comes to our precious skin. We are also faced (no pun intended), with specific skin concerns and issues. Everyone’s skin responds differently to products. What works wonders for one person’s skin may insight havoc on someone else’s. That’s why there are so many options when it comes to beauty products. And face serums are no exception! Companies try to be as thorough as possible so that everybody can reap the benefits. 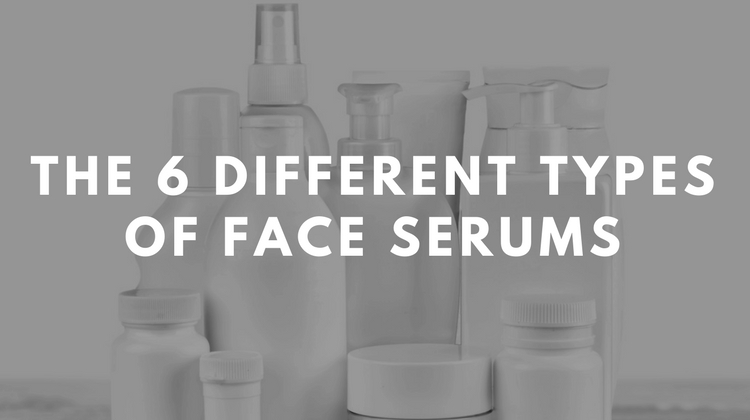 We appreciate the surplus of products, but it also leads to massive confusion and angst when it comes time to finally make a decision about which face serum to choose. Nevertheless, that leaves us with hundreds of possibilities to choose from. The beauty of it though, is that there’s a perfect product for you out there. You just have to educate yourself so you know what to look for and what in particular will be best for you. As with anything, it might take a little trial and error to find your perfect match among the specific type you need. The world of facial serum is continually advancing, shifting, and improving. But as of right now, here are the 6 main categories of face serums that are currently available to you and your specific skin needs. Face serums target a number of different areas. The varying types of serums, along with the selection of active ingredients and the overall texture, serve many different functions and offer various benefits. 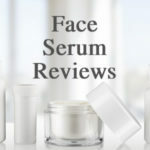 We should note that there is crossover between each of these types and one specific type of face serum usually boasts more than just one benefit. Let’s take a look at each of the most popular types. Facial serums are most known for their amazing anti-aging benefits. These serums are able to treat the most common signs of aging along with slowing down the process in general. They target any current fine lines, sagging, or wrinkles, while firming and plumping the skin. Anti-aging serums also focus on promoting increased cell turnover, aiding in cell repair, and cell renewal. This helps rejuvenate the skin and smooths out the overall texture and appearance. Retinol (a derivative of Vitamin A), is a commonly used and notable ingredient for powerful anti-aging effects. It helps with cell turnover, increasing collagen and elastic production, preventing collagen loss, firming, and hydrating or plumping the skin. 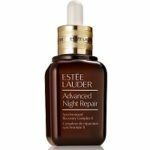 You might see anti-aging serums specifically for nighttime use. This is because it’s suggested that retinol is negatively affected by the sun’s UV rays and could lead to potential adverse skin effects. A plus for using retinol based anti-aging serums at night is that this is a prime time for your body to restore and repair itself as you’re sleeping. Retinol is able to work it’s magic without any interferences such as UV rays and will supercharge your body’s natural repair functions. Other common anti-aging ingredients include: fruit stem cells, evening primrose, grape seed extract, Vitamin C, peptides, growth factors, and Alpha Hydroxy Acids (AHAs). 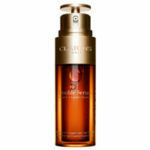 Another huge draw of face serums is their ability to brighten dull skin. Brightening serums work by smoothing your complexion, fading any age or sunspots, evening skin tone, and diminishing hyperpigmentation. This leaves your skin with a natural, radiant glow. These particular serums may contain extracts such as green tea, licorice root, and grapefruit or antioxidants like vitamin E and vitamin C.
Other ingredients for lightening and brightening are kojic acid, ferulic acid, peptides, and light reflectors or optical diffusers that instantly give you an impeccable glow. 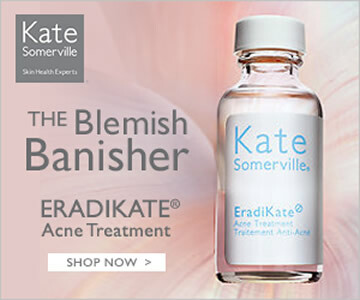 Acne fighting serums may be just ticket to finally banish annoying acne breakouts for good. We usually treat acne in a reactive manner, after we’re already eyeballs deep in a breakout. The goal is really to prevent breakouts before they form. Serums are uniquely positioned to do just that. They are formulated with small molecules that can easily dive deep into the skin and deliver potent active ingredients. This is in contrast to face washes and creams that work more at the surface of the skin. Serums help stop acne breakouts before they even start. They can also aid in fading acne scars, while gently removing any buildup of dead skin cells. Acne fighting serums tighten skin, unclog and minimize pores, absorb excess oil, and minimize any redness or irritation. Beneficial acne fighting ingredients are salicylic acid, alpha- hydroxy acid (AHA) and beta-hydroxy acid (BHA), glycolic acid, citric acid, zinc, and botanical extracts like tea tree, thyme, cucumber, and green tea. When your skin is parched and dehydrated, sometimes moisturizers and lotions just don’t cut it. This is where face serums come into play. However, face serums aren’t meant to replace your daily moisturizer. They work in unison with your moisturizer to amplify the hydrating effects. These particular face serums penetrate deep into your pores to deliver an extra layer of hydration. Your moisturizer should be applied after your serum as it helps lock in these beneficial ingredients. To increase moisture in thirsty skin, look for ingredients such as Argan oil, glycerin, hyaluronic acid, aloe vera, rosehip oil, ceramide, rosewater, sea kelp, jojoba, and vitamin E.
Exfoliating has a special place in our skincare routine because it benefits the skin in so many ways. An exfoliating serum works to smooth and tone complexion, diminish fine lines and wrinkles, and correct discoloration and hyperpigmentation from natural aging and sun damage. Our skin becomes dramatically less efficient at removing dead skin cells as we age, along with producing less collagen and elastin. This layer of buildup due to dead skin cells leads to dull, dry, cracked skin. It becomes easily irritated, less protected, and hinders the efficiency of your other facial products because they aren’t being absorbed properly. Exfoliating serums are an easy way to ensure that your skin is functioning normally and optimally. They also work to unclog pores and prevent against breakouts. Key ingredients in exfoliating facial serums are alpha hydroxy acids like glycolic acid or lactic acid, retinol, enzymes from plant or fruit extracts, and citric acid. Just as face serum does wonders for anti-aging, it also works to repair and restore skin. Face serum, in essence, is able to turn back the clock and restore that youthful glow we all yearn for. You know that supple, dewy complexion that we all completely took for granted in our teens and early 20s. Our face is a trooper with what it goes through on a daily basis, year after year. And as we go through the elements and time, it does acquire some noble battle scars. Lovely breakouts and regrettable (yet seemingly necessary), pokes and picks that lead to acne scars. But even your average daily exposure to the sun’s damaging UV rays takes a toll on your sensitive skin. The changing seasons puts additional stress on our skin, along with daily make-up application and removal, or worse, sleeping in it overnight. All of this leaves our skin with acne scars, sun damage, blotchy areas, discoloration, dryness, fine lines, and wrinkles. This is when we call in some beauty reinforcements for our lovely, yet tired, skin. Face serum is able to effortlessly repair, renew, and protect your skin from all the wear and tear. Reparative and renewing face serums stimulate the skin’s natural repair functions so your skin can heal at its core. It fades away acne scarring and sun damage, while promoting the growth of skin cells such as collagen and elastin. These serums help your epidermis maintain optimal moisture and oil levels to keep skin hydrated, supple, and smooth. They also work hard to protect you against harmful free radicals caused by daily aggressors. Some main ingredients in these face serums are seaweed, noni extract, flower water, green tea, ceramides, retinol, Resveratrol (from Japanese knotweed), antioxidants, essential oils, and Omega-3 fatty acids. Face serums truly save the day when it comes to your skin. They offer countless anti aging benefits to get your face in tip top shape. Thankfully, there’s a face serum out there for everyone, no matter what your specific needs are. They work to reverse aging, hydrate, brighten, exfoliate, fight acne, and restore and renew your skin. Each product offers its own unique spin among these 6 categories. Luckily, there’s some crossover and face serums usually tackle more than one issue at a time. Identify your main skin concerns and look for face serums that can address those, while also benefiting from their additional beauty boosts. 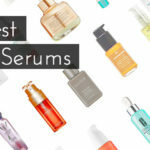 If you need some help finding your perfect face serum, check out our exclusive list of the 10 best face serums!